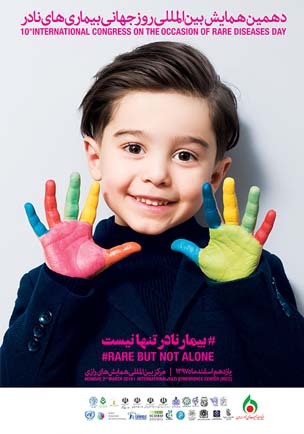 Since its first Rare Disease Day in 2010, Iran has used the event to improve scientific knowledge on rare diseases. Since then, conferences and workshops have been held in Tehran, in addition to the annual Rare Disease Day congress which was attended by over 3000 patients and their families in 2014. Similarly to previous years, in 2018, there was a symposium in Tehran to mark the occasion, as well as a successful 9th annual conference on rare diseases. Do you know of any events not listed here? Or would you like to get involved? Email us at [email protected]is.org.